All right, so you could get in the Christmas spirit by telling the same old tale about a jolly old man who slides down the chimneys and rewards well-behaved kids with mountains of toys. Some people hold fast to their Christmas traditions, and there is nothing wrong with that. But think how magical it can be to revamp Christmas stories to better reflect the time and country that we live in. After all, that may be what keeps Christmas alive. Maria Tatar, a professor of mythology and folklore at Harvard University, says that when we reimagine the stories we grew up with, we're ensuring that they get passed down to future generations. "We all have a nostalgic connection to childhood," Tatar says. "But as we grow up, we start to look at some of the things we read and cherished with a critical eye, and realize that they're not so culturally innocent after all. And to me, that's a good thing. ... It's up to us as adults to reinvent some of our stories, to make them better, make them new, make them more interesting, make them more relevant. 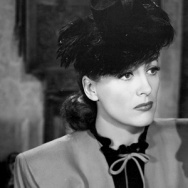 There's no reason to tell the same old story again and again." 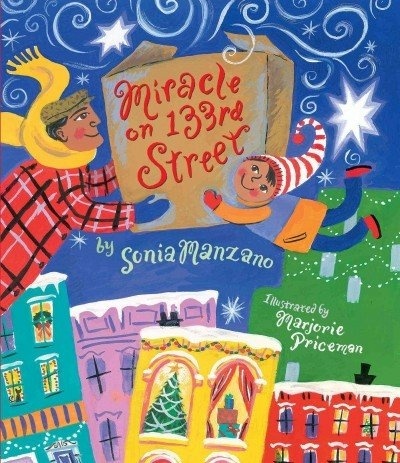 So, in that spirit, here's our list of five children's books that honor the diversity of ways that Christmas is understood and celebrated in the United States. This colorful story follows a Puerto Rican family that has relocated to New York City. Cramped up in a tiny apartment and longing for home, they struggle to enjoy Christmas Eve — they can't even fit dinner in their little oven! 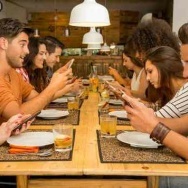 But as the evening wears on, the family connects with the people around them, and neighbors who were once strangers become treasured holiday companions. Published in 2015, this book is particularly poignant this year, in light of the tens of thousands of Puerto Ricans who have been forced to move to the mainland after Hurricane Maria. 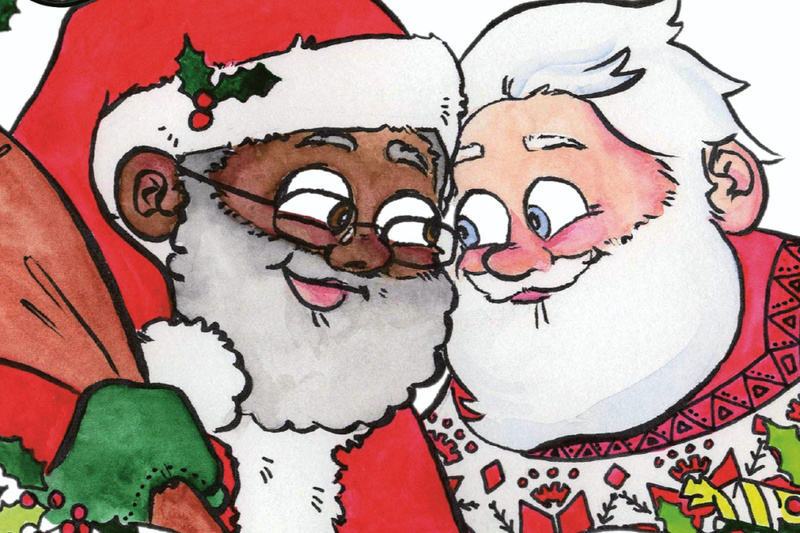 A queer, multiracial take on the North Pole's most famous couple. 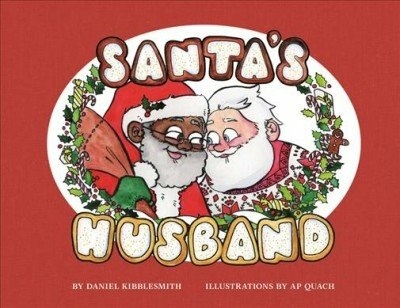 This book follows the story of a black Santa Claus and his white husband as they navigate the weeks leading up to Christmas. One review described the plot as this: "Santa's husband helps with all the pre-Christmas work, from double-checking lists, to feeding the reindeer (organic, gluten-free grains, of course), to negotiating labor disputes with the restive workshop elves." In other words, Santa's Husband is an homage to the Santa mythology that many of us know and love, plus a subtle introduction to the merits of worker unions and sustainable farming. 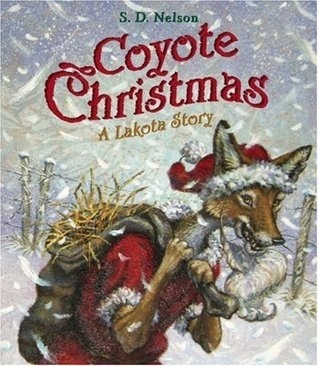 New York Times book editor Gregory Cowles called it "a sweet and subtle holiday story as much about assimilation as it is about Christmas." 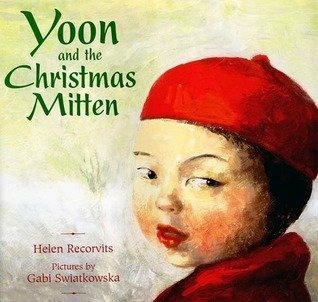 In the book, Yoon, a young Korean immigrant to the United States, tries to persuade her parents to embrace an American-style Christmas celebration. The ensuing discussion is about navigating an identity that is at once Korean andAmerican. The book is part of a series that follows Yoon as she balances her family's traditions with the realities of trying to fit in in a new place. We're all used to seeing frosty, flannel, pine-scented images of Christmas. So what does the holiday look like when you take away the winter-in-the woods vibes and relocate to Little Havana? When Nina, the book's protagonist, travels to Miami to visit her Cuban family, her ideas about the holiday are upended. 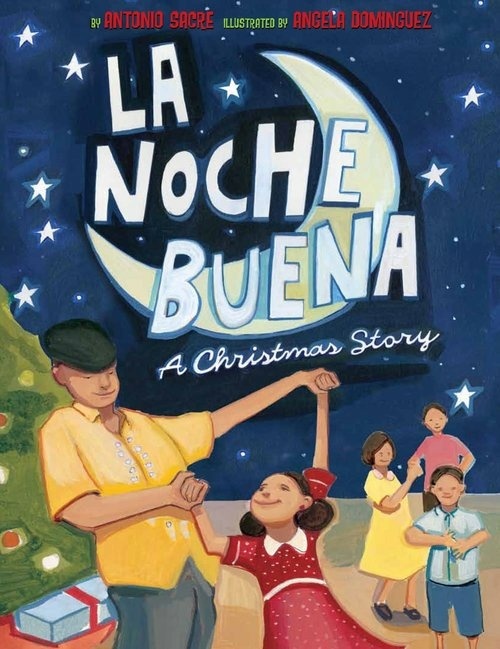 La Noche Buena portrays a Christmas celebration that makes room at the inn for hot weather, pachanga and Crema de Vie.